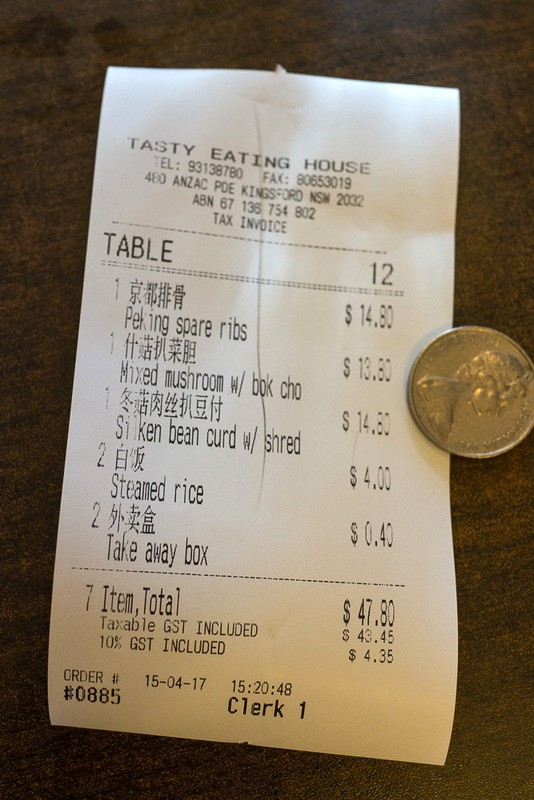 Tasty Eating House in Kingsford dishes out big serves of Chinese braised goodness. 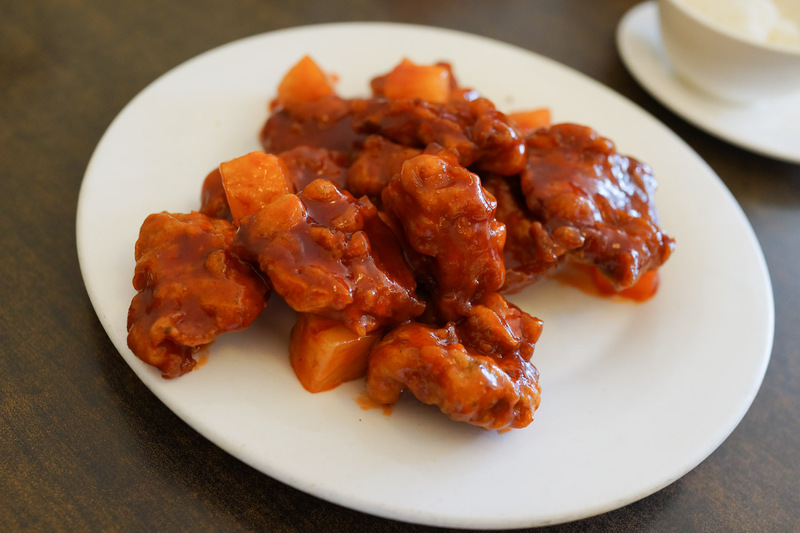 Feel virtuous with a veg choice then blow your points counting with sticky sweet n sour pork ribs. There's a row of restaurants along Anzac Parade that somehow seem similar, down to the giant picture menus they give you to choose your meal from. 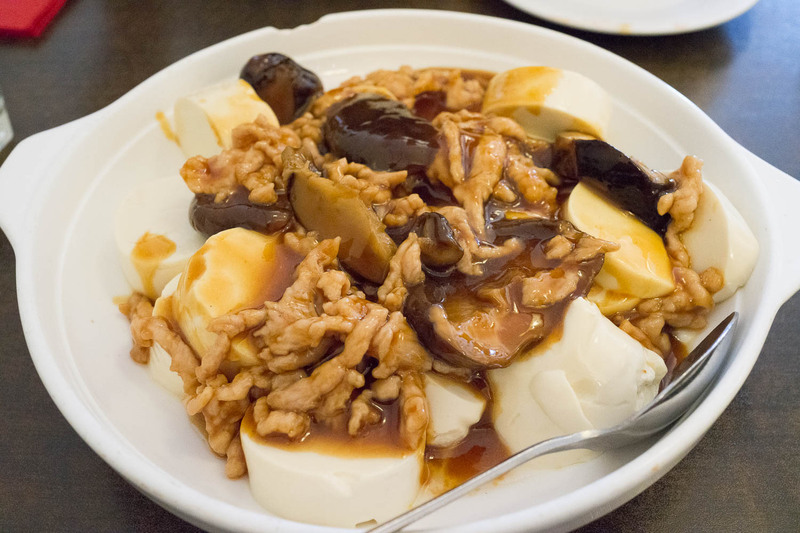 The specialise in a mix of mostly eastern Chinese style dishes, a little more braised and heavy than lighter Cantonese fare. These dishes are filling and bounteous, great for ordering up and taking the leftovers home for another round later on. Tasty Eating House fits the bill for a big Sunday lunch, with a follow up dinner at home guaranteed. We take a punt on a big bowl of veggies to counter act the further sweet and naughty delight of the rest of our order. 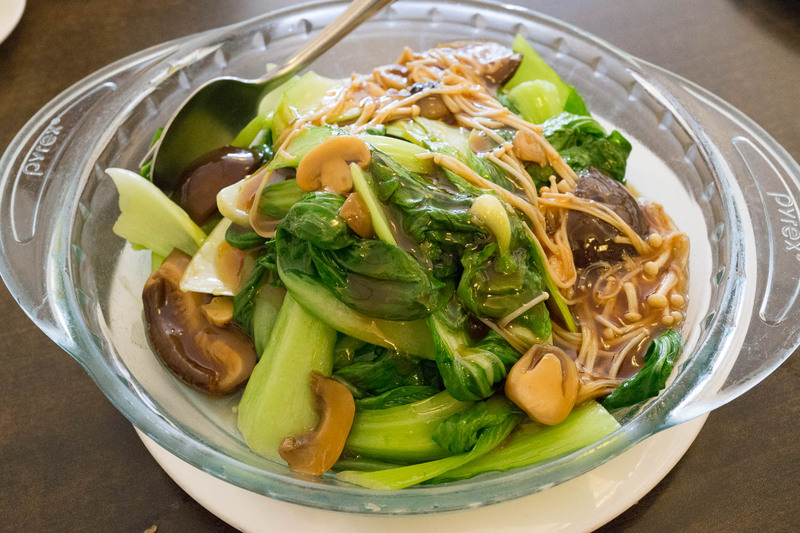 Mixed mushrooms with bok choi is a scurvy fighting dish, full of pieces of green bok choy and shitake, enoki and straw mushrooms. The texture is soft and a little goopy, but the classic 'brown sauce' gives it some salt and flavour. Silken bean curd with shredded pork. Keeping with the brown sauce theme, this is a dish we feel we could easily replicate at home with some of those tubes of egg custard tofu that so satisfyingly slip out of their plastic casing when the top is clipped. The sauce is shreds of soft pork and more mushrooms in a soy based broth, probably thickened with a little potato starch. Peking spare ribs. The little bit naughty to counter all the veg goodness piled up on our plates. These small bits of pork on bone are first deep fried then soaked in a sweet and sour sauce. So much sweet and salty goodness, so much fried satisfaction. We figure this dish is always the one to get when you want to save a little for later on, just a small taste makes you feel like you've had a treat and you can spread out the calorie intake over a few days. We took about half our lunch home for dinner - all up four feeds for fifty bucks - not bad. 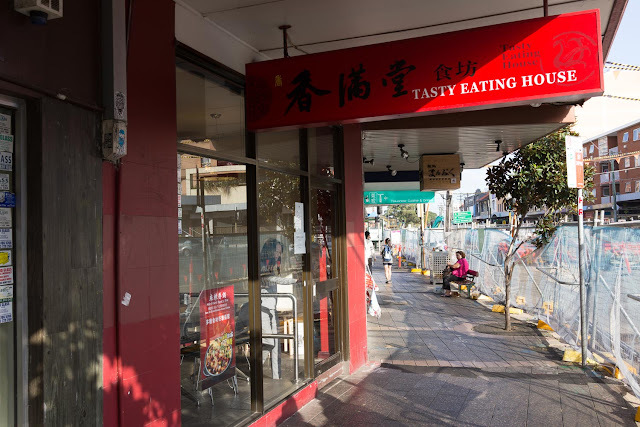 Tasty Eating House is at 480 Anzac Parade, Kingsford. Phone 02 8065 1539. Walking back home we spy this secret undercover surveillance van carefully camouflaged among the trees of McEvoy Street. 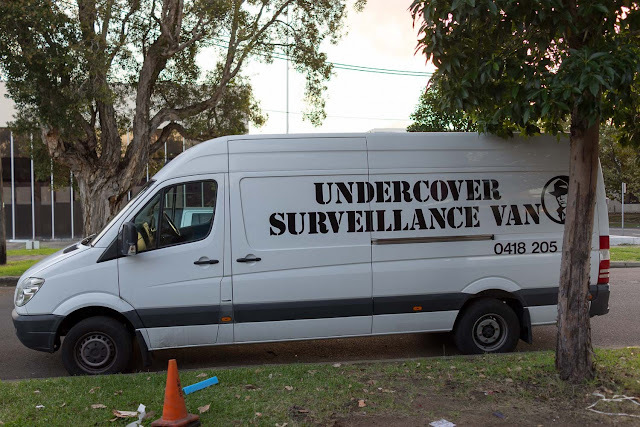 Wouldn't suspect a thing. We never tried this one at Kingsford but we're regular patrons at their branch at Chatswood. Their food variety is good and have spicy options as well. The most popular dish in the Chatswood branch is our favorite which is the fish soup with preserved mustard vegetables. Their stir-fry vegetables are also great, especially the cabbages and cauli-flowers.